H20i, the annual car show in Ocean City, Maryland that Jalopnik declared the most ticketed car show in America just last year, has been postponed until 2018, according to event organizers. This is, of course, not an announcement that’s very shocking. The H20i event is known for collecting some of the lowest and flashiest cars in the enthusiast sphere. 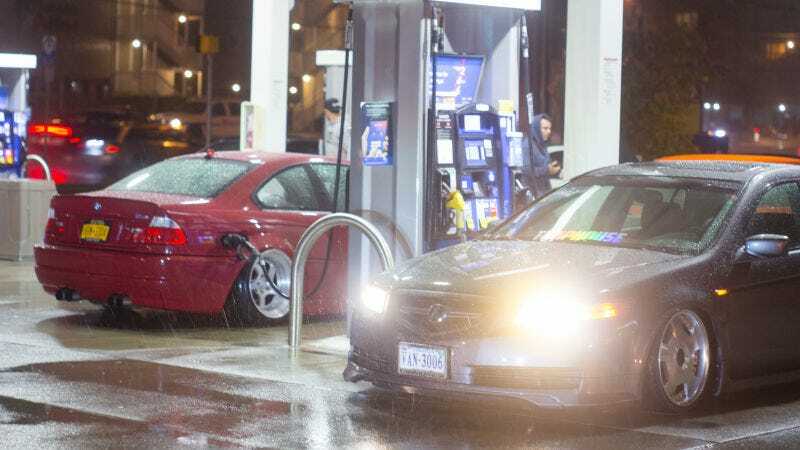 The cars and their modifications are almost never legal, and a police spokesperson last year reported 1,222 traffic stops in a town with a population of normally around just 7,000 people. The entire culture of the event is about avoiding the cops, with tickets, tow fees and impound rates viewed as the price of admission. ﻿After working extraordinarily hard to provide you with the same quality event that you have come to expect, I am saddened to announce that this years’ H2Oi will be postponed until next year. We want to continue to offer the best in a show experience, and with changes in venue options and a diminishing timeline, it is necessary to delay the event until 2018. I personally cannot thank you enough for your continued support. I look forward to seeing you next year, when we will celebrate the 20th anniversary of H2Oi the right way! Please stay tuned for announcements about an exciting and brand new H2Oi Series, starting in Spring 2018. The car show is organized around a community of Volkswagen and Audi stance enthusiasts, but often casts a much wider net. Considering the amount of heat the event attracts, and how popular it remains in spite of police attention, it’s incredibly likely the event will return as promised for 2018. I wouldn’t be surprised if a lot of people show up this year anyway. In the meantime, check out our coverage of last year’s H20i.